Written & produced in the Micro Chambers, Ammanford, Wales. This album is again a small reinvention by the Healy brothers. The last ones I picked up from them were Pounded Mass and Reformation and the first was a nervewrecking ride through their usual breaky idm industrial landscape. Reformation was what dubstep should sound like so they are very diverse artists to say the least. 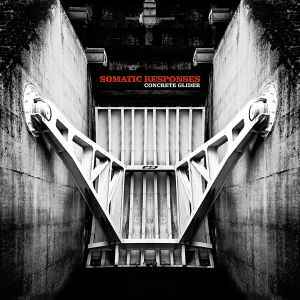 With Somatic Responses there seems to be no easy way, but here they at least tried to make it somewhat bearable for newcomers. Phuture Phucker is a epic slammer mixing slight drum'n bass influences with atmospheric but agressive idm. The short Svemma adds a sensitive touch to heavy rhythmic industrial. Replicant Loss is devoid of rhythms, a dark cinematic track that would fit perfectly in Bladerunner. The last track Fryday has that technoid 4/4 rhythm again and also some hiphop style scratching, making it sound a bit like "B Boy 3000". A typical Somantics release, uneasy listening but you can get a lot out of it if you give it some effort. Recommended but only just because of the overload of 4/4 acid techno. Science And Emotion - is a down tempo IDM esque track that is instantly accessible, similar in a way to 'Another Rainy Day' on their last hymen album but better. more for listening. First Day Back - a faster IDM influenced track with a catchy repeating melody which you can dance to. Fairy Light Massacre - brilliant track with out of key sounding synths used to good effect, would probably work on a dancefloor. Mistaken Sponge - uses a mixture of SR style synths and IDM ones in the melody, has rock music type drum rhythms, this flows well with variance with effects in the repetition that keeps it going. danceable. Magma Flow - drum n bass track with kick drums and a good melody near halfway. bassline is awesome. nice effects. Aaltomatic - 4/4 dance track similar but better than 'dark days' off last hymen album with more subtle melody, is replayable. Quick Releasr - fast 4/4 track recycles a 'monstrous' track but has a catchier melody. Phuture Phuckers - drum n bass style track, not much melody, atmospheric like 'Rinse out' track in places. Svimma - a short SR trademark track with a melody thats a bit moving. Replicant Loss - first beatless track on an album since Giauzar, dramatic UFO sci-fi sounding track. Mil Harddach (Dyfodol Mix) - first album track with vocals since Giauzar - more SR trademark sounding, and interseting, more listenable than danceable. Fryday - fast 4/4 track with kickdrums that buzz and hiss a bit like a having a fry-up, with hip-hop style 'scratch' effects, not bad compared to other last album tracks. I've heard that one of the brothers specialises in 'power melodies' and the other in 'moody atmospherics' - well the first 4 tracks seem to have the melodies, then the moody atmospherics kick in for most of the later tracks. there is more 4/4 on this album that most of the others, and that isnt usually my kind of thing anymore - but they are ok. the non-4/4 tracks are good enough to justify getting this album if your not a 4/4 fan.